Yep, there is such a thing as comfy *and* cheap when it comes to mattresses. I know, I was shocked too! 1. A memory foam mattress that'll react to your body heat and increase circulation for a better night's rest. Get it from Walmart for $139 (available in sizes twin–queen). 2. A 10" memory foam mattress for couples who can't agree on either a firm or soft mattress — it'll form evenly to each of your body's needs. Get it from Wayfair for $161.99+ (originally $299, available in sizes twin–king). 3. A cooling gel hybrid mattress that'll be so comfy, you'll feel like you're sleeping on a cloud. Get it from Zinus for $200+ (available in four sizes and two thickness options). 4. A gel memory foam sofa bed mattress for friends or family who come over to visit. They should have a comfortable sleep too, right? Get it from Amazon for $160.99 (available only in queen size). 5. A hybrid foam and coil mattress that'll absorb moisture, dry quickly, and help your body breathe, all while relieving pressure points when you sleep. Get it from Amazon for $261+ (available in sizes full–king and two thickness options). 6. A crib mattress with an antibacterial waterproof cover and low chemical emissions to help create a healthier sleeping environment for your little one. Get it from Hayneedle for $98.28. 7. A gel memory foam mattress that'll be everything you dreamed of, plus it comes with two memory foam pillows. Talk about something being totally worth it! Get it from Amazon for $493.80 (available in sizes twin–California king and four thickness options). 8. A plush inner-spring mattress for medium support and to reduce the sensation of bed movement for uninterrupted sleep. Promising review: "I did a lot of research before deciding to buy this mattress. I'm on a budget, but I wanted something nice and comfortable for my son's bedroom. I didn't want to spend hundreds of dollars investing in a mattress set with a box spring. Mission accomplished with this innerspring mattress! It's comfy and gets the job done with my son's new platform bed. Not only does he have a great mattress, but I've also saved hundreds of dollars by not going the traditional mattress set route." –Songea S.
Get it from Overstock for $167.02 (available in six sizes and types). 9. 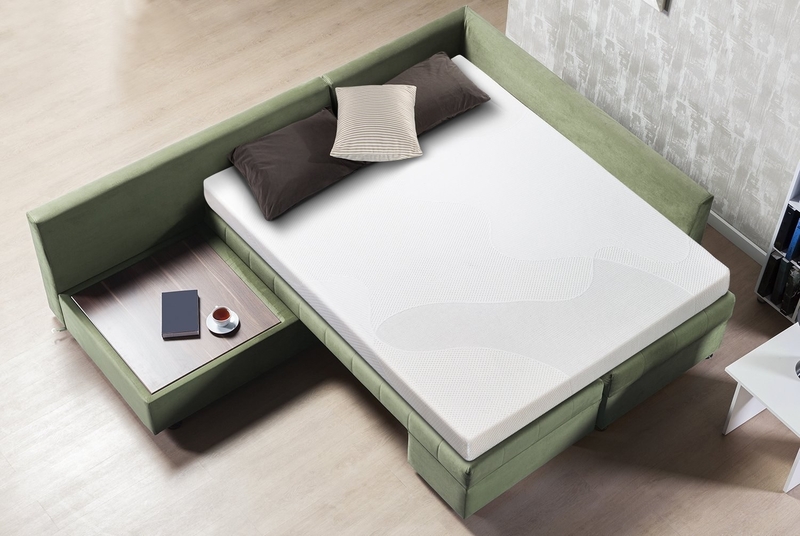 A spring mattress with individual spring coils that'll come in a box and expand within minutes of unpacking, making it easy to handle upon arrival. Get it from Walmart for $119+ (available in sizes twin–king). 10. A memory foam and inner-spring hybrid mattress for the perfect combination of traditional support with a medium-firm feel. Get it from Amazon for $99+ (available in sizes twin–California king and two thickness options). 11. A Cali king-size waterbed that'll be semi-waveless with about 8-10 seconds of movement so you won't get even the slightest bit of motion sickness. Get it from Amazon for $119.91. 12. 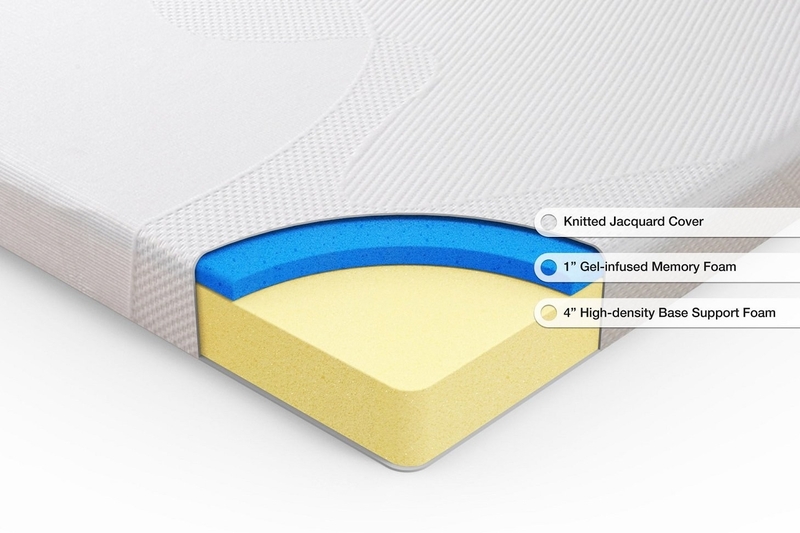 A Tuft & Needle adaptive foam mattress with cooling and pressure relief so hot sleepers can have the best, most undisturbed sleep of their lives. Read our review of the Tuft & Needle foam mattress. Get it from Amazon for $280+ (available in sizes twin–California king and two styles). 13. A cool breeze mattress made of airflow foam in a durable, three-layer construction that'll make even hot sleepers not want to leave the bed. Get it from Amazon for $229+ (available in 10 sizes). 14. And a 12-inch hypoallergenic mattress to keep out dust mites, pollen, mold, and pet dander — perfect for kids or adults who suffer from allergies. Get it from Amazon for $177.99+ (available in sizes twin–California king and three thickness options). Want more for your bedroom? Check out the best bedding you can get online, our favorite mattresses you can get on Amazon, the best bed frames to get on Amazon if you need somewhere to put that new mattress, and the best pillows on Amazon to finish off your new bedroom setup.